Arnuldo R. – La Vernia, TX. 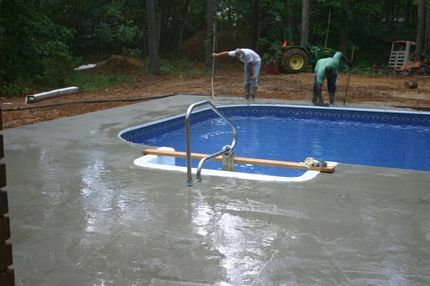 Here is a picture of our completed pool. I think it came out great Thanks for your help. I’m sure we will be talking again soon. Mike & Diane C. – Flemington NJ. 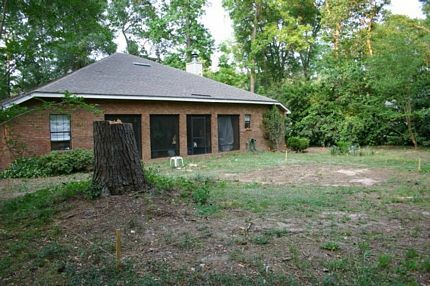 We are happy to provide you with a testimonial and pictures. 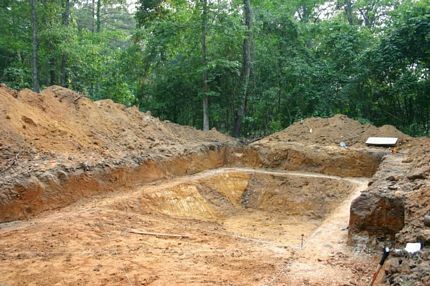 This was certainly our biggest project. We would certainly recommend working with Polar. 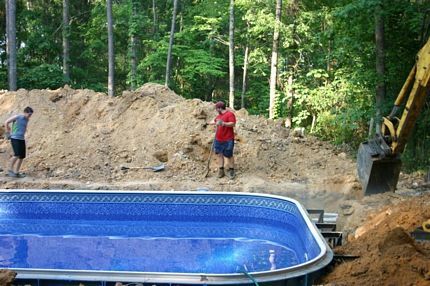 In reality, the pool installation was the easiest part of the processIt was the digging and the patio. That on top of doing this in the wettest May and June in history was a challenge. 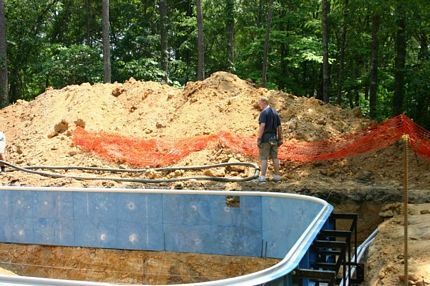 Making the decision to build your own inground pool is not one to be taken lightly. Not going to kid you. It was alot of work. However, it was all worth it. 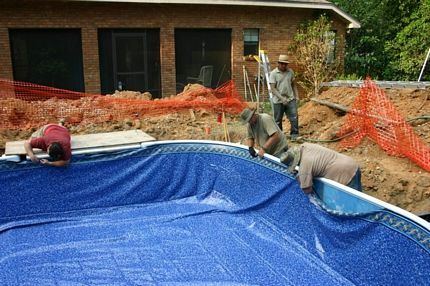 The folks at Polar Pools made the installation easy. They were always there if we had a question. But it was all worth it. We have four kids (with many friends) that are very very happy. That’s all that matters in the end. 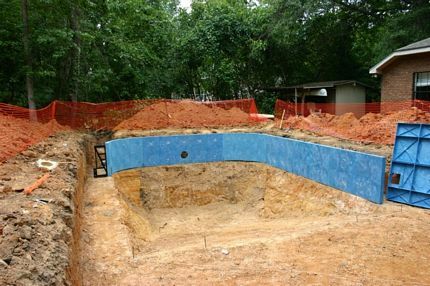 Attached are some pictures of our pool under construction. I won’t lie to you, it was a lot of work, but we were very glad we did it ourselves. We learned so much about the entire process and things went very well. I would stress to people to research and get as much information as possible before beginning each step. Joel did this and when it came time to proceed, he was well informed and the knowledge he retrieved was extremely helpful. 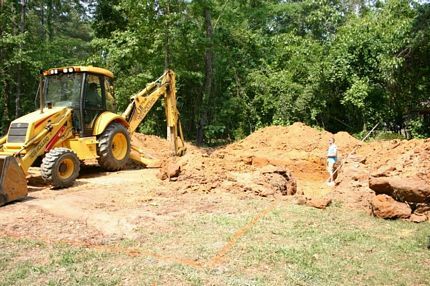 We hired an excellent excavator, which of course, helped us to achieve a successful outcome. 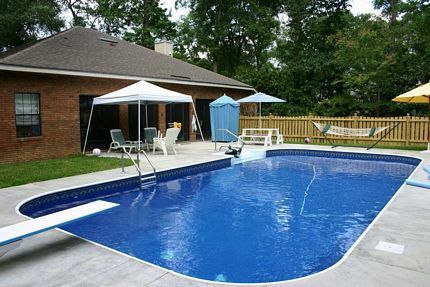 We are very pleased with our pool and we look forward to summer so our family can enjoy it! George K. – Chattanooga TN. Thank you for all your help. 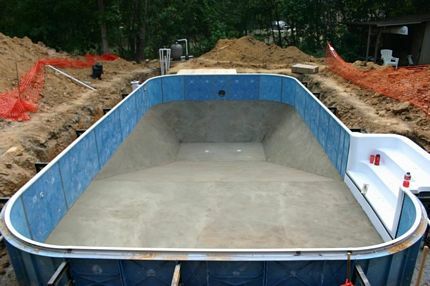 My pool is finally finished! 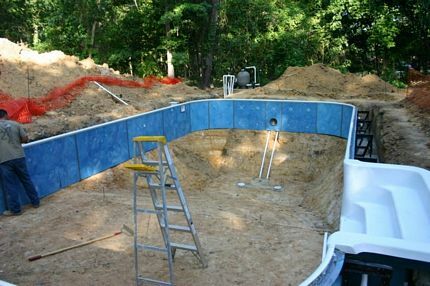 Here are some pictures of our finished pool. 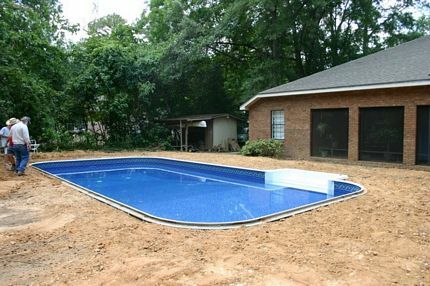 We still have a fence to put up and some landscaping to complete, but the pool is done. Thought you might like to see our “finished product”. 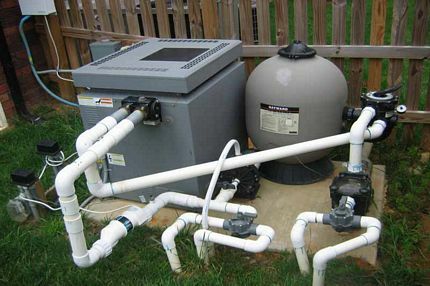 We couldn’t be more satisfied with the service and support we received from you throughout the installation process. We have been up and swimming for about a month now. It was a lot of work but definitely worth it. Thanks again for all your help and enjoy the pictures! 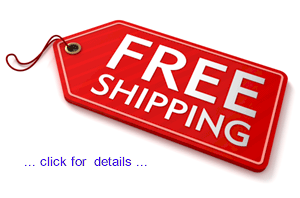 If we can provide any customer feedback to help you or any other customers, we would be happy to do so. 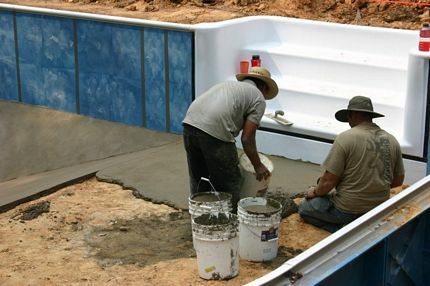 We are very proud of our Polar Pool! 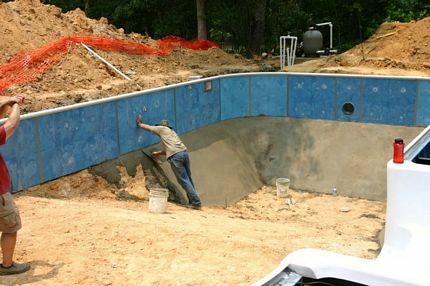 Again thank you very much for all your dedicated and professional help with my purchase and installation of my 16×32 inground pool. Thanks for all your help too! I’m sure I was a little challenge, but I appreciate your help and follow through. 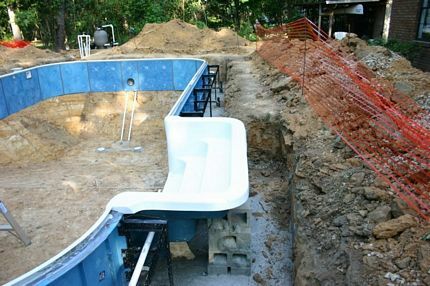 People I talk to are really speechless when I show them the pool and that I did it myself (with the help of a few others). A lot of them say because I’m a builder I should be able to build this, but the reality is, it’s really pretty elementary! Just wanted to say thanks for all your help. We love our pool. We had prices that ranged from 25,000 to 40,000. Can you believe it, we did it all for 11,500 what a savings. My wife worked very hard on this project, along side of me. Well worth the money. Check out the pictures. Mike C. – Raleigh, NC. 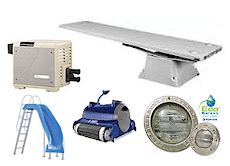 Add Accessories to Your New Pool! Yes, You Can Do It Yourself! 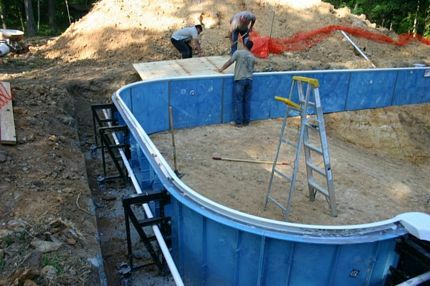 Click HERE for do it yourself above ground swimming pool installations. Yes, it's so easy that you can do it yourself!